There’s a little meatball in the oven! Jersey Shore cast member Nicole “Snooki” Polizzi is pregnant with her third child. She and husband Jionni LaValle previously announced that baby number three will be a boy, joining older brother Lorenzo and big sister Giovanna. The reality TV veteran hasn’t given birth yet, but she did share some special news with her fans: her future son’s name. Anyone who watched Jersey Shore: Family Vacation can see that Mike “The Situation” Sorrentino has truly changed for the better. He was completely sober. He was completely faithful to his now-wife Lauren Sorrentino. He really was a completely different person than the guy we met during Jersey Shore’s initial run. Even the abs were gone. Instead of drugs and alcohol, The Situation turned to pasta and funfetti cake for comfort. He truly seemed like a kinder, gentler soul. Nevertheless, he did the crime and now he’s doing the time. And it’s not like he’s the only reality star with tax issues. Teresa Giudice, Joe Giudice, and Abby Lee Miller have served jail time for similar offenses. 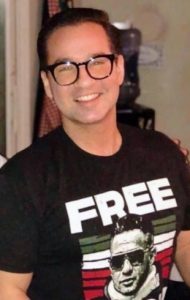 But, apparently, he’s having a great time behind bars. Or at least he is according to Snooki. Gym, tan, lose custody? The tension between Jenni ‘JWoww’ Farley and her soon-to-be ex-husband Roger Mathews is at a fever pitch! It’s unbelievable seeing how quickly things have exploded between these two. During the original run of Jersey Shore, JWoww and Roger seemed solid. Nobody watching at home would have ever guessed how toxic their marriage truly was. It seemed like she finally found the man of her dreams, but unfortunately, the relationship collapsed. JWoww announced last fall that she filed for divorce from Roger after three years of marriage. It seems that ever since the official announcement, things have continued to worsen for the pair. Between all of the allegations and accusations, one question has been on our mind. What’s going on with their children? Situations like this are hard enough, but when you throw in kids everything changes. Both JWoww and Roger have accused one another of alleged wrongdoings. So, who will end up with the kids? Before anyone asks, no Nicole “Snooki” Polizzi is not an option! 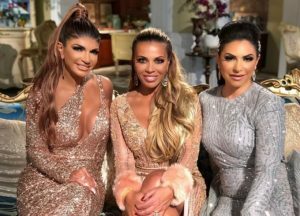 With many Real Housewives shows on the decline with drama (looking at you Orange County and Atlanta), the New Jersey ladies have really come through for the viewers when we needed it most. Season 9 is the show’s best season in years. It’s not even over yet, but I cannot wait for the Real Housewives of New Jersey Season 9 reunion. Then again, I really don’t want it to end. I’m torn. Who am I kidding? The reunion is going to be a screaming match. I’m so here for that. As of this moment, we don’t know exactly what they argued about discussed, but we did get some sneak peaks at their looks thanks to social media. I just want to know if anyone wore Jovani! Or is that more of a New York City Housewives move? Spoiler alert: there are A LOT of sequins. Oh And spray tans, of course. Snooki Reveals The Gender Of Baby Number Three! 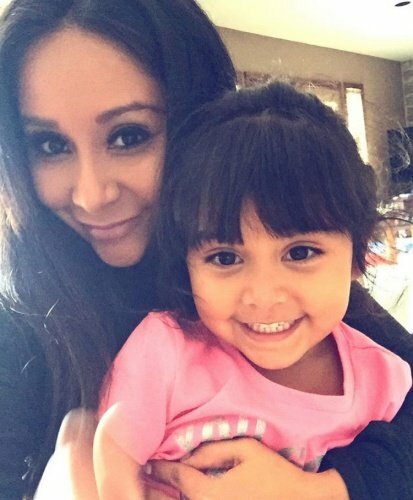 Fans of Jersey Shore: Family Vacation recently learned that Nicole “Snooki” Polizzi and her husband, Jionni LaValle, had been trying for a while to have a third child. Well, recently the forever meatball announced they were pregnant. They just revealed the gender of their pending bundle of joy with family and friends….. and Jersey Shore fans.